Kazuo Kobayashi is a JSPS postdoctoral fellow at the University of Tokyo. He is now finalising his monograph on West African consumer demand for Indian textiles that shaped the pattern of globalisation during the eighteenth and nineteenth centuries. 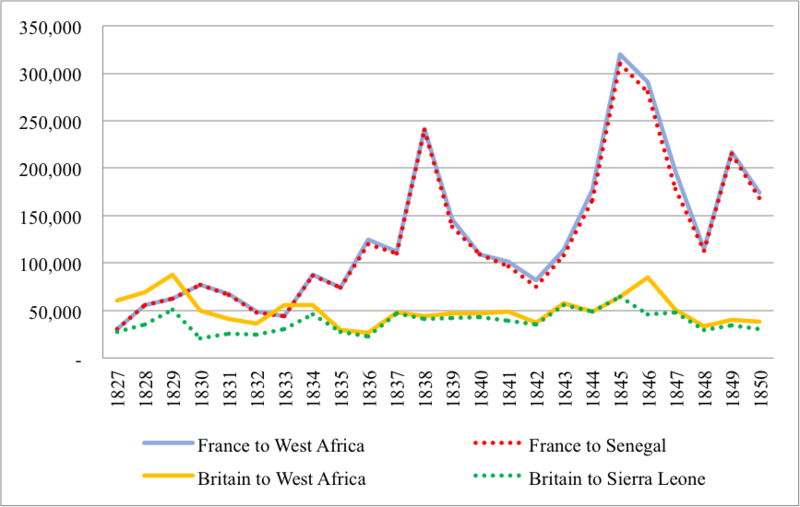 This paper uses a new set of data to address one of the central questions in African and global economic histories: how West Africa contributed to economies outside the region. From a consumer-led perspective, it argues that, in the first half of the 19th century, consumer behavior in Senegal not only determined a part of the global trade networks that extended from South Asia through Western Europe and reached Africa, but it also influenced textile production in Pondicherry and Western Europe. One of the central questions in African and global economic history is how West Africa contributed to economies outside the region. The debate has often focused on West Africa’s contribution to the origin and development of the British Industrial Revolution. The existing literature has stressed that, in the era of the Atlantic slave trade, West African consumers had a strong preference for Indian cotton textiles, which were imported into the region from Europe, and that British manufacturers sought to gain a competitive edge for Lancashire cotton goods over the rival products of South Asian weavers (Inikori 2002). Thus, such 18th-century economic connections between West Africa and India, created by European commercial and imperial expansion, have emerged as one key factor in developing a more nuanced picture of the African linkages with industrialisation in Western Europe in the nineteenth century. Because the literature has focused mainly on the era of the Atlantic slave trade, however, studies have paid less attention to the West African contribution to economies outside the region in the post-abolition period from 1807 onwards. Inspired by recent work on the social dimensions of 19th-century consumer demand in Eastern Africa (Prestholdt 2008), this paper seeks to remedy this lacuna by paying close attention to the social and ecological factors that affected the persistent demand for Indian textiles in Senegal. This region – which was the largest West African consumer of dyed Indian cotton textiles – affords an ideal platform for scrutinizing existing accounts of the place of African actors in the global economy in the early 19th century. Figure 1 is based on quantitative data drawn from both British and French official trade statistics. 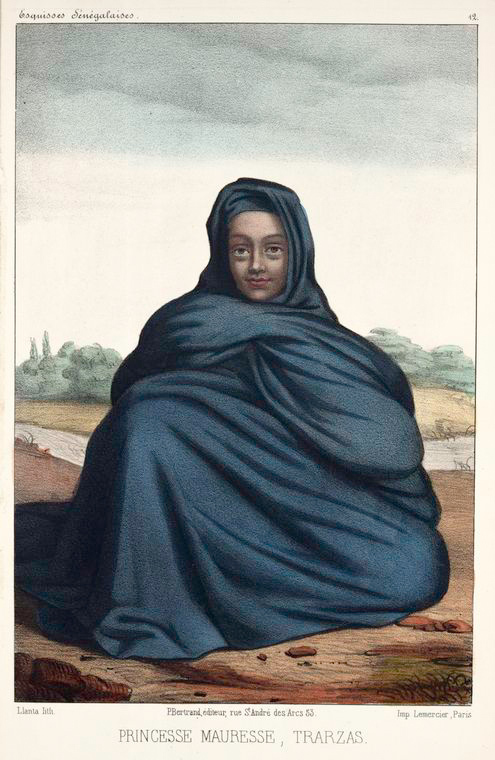 It shows that, in contrast to the Anglo-West African trade, the Franco-West African trade in Indian-made dark-blue cotton textiles, called guinées, increased continually during the early nineteenth century. This increase was partly made possible by the development of the textile industry in Pondicherry, a French colony in South India (Roberts 1996). Due to the combination of the French mercantilist policy, which banned direct trade between the colonies, and the topography surrounding Saint Louis, Senegal’s principal port, guinées were always imported into Senegal via Bordeaux and other French ports. The French trade statistics also reveal that guinées had been the flagship commodity among those imported by Senegal from France throughout this period. Such evidence enables us to state that Inikori’s argument based on the British trade statistics that ‘British cottons won a decisive victory over East India cottons in Western Africa very early in the nineteenth century’ (2002, p. 447) needs firm qualification, at least in the case of Senegal. Curtin (1975), Webb (1995), Roberts (1996), and others have highlighted that guinées served as an important exchange medium in the nineteenth-century gum arabic trade along the Senegal River. Among various purposes, gum arabic from Senegal was indispensable as a stiffener in dyeing textiles in Western Europe in the age of industrialisation. But why did cotton textiles manufactured in India continue to play a much more significant role than European textiles in this regional trade well into the nineteenth century? Contemporary correspondences and travelers’ records have revealed that local consumers along the Senegal River, as well as in the Sahara Desert, preferred Indian textiles in terms of their color and smell, which European textiles could not match. The essential difference between Indian and European dyed textiles was thought to be due to the proportion of aluminum in the water, which explains the superiority of blue dyeing in Pondicherry. That is why authentic guinées needed to be imported from Pondicherry into Senegal (via France) in the period under review. Preference for Indian guinées had been shaped by local textile production and trade traditions in precolonial West Africa, where domestic indigo-dyed cloth had long been popular. 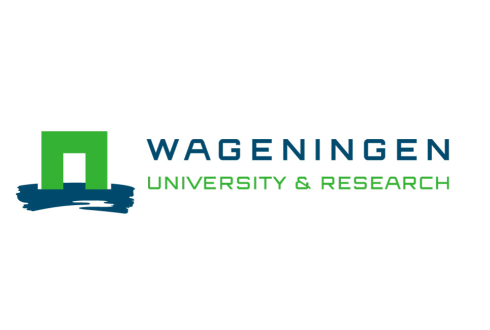 However, the period from 1600 to 1850 witnessed increasing regional aridity that caused serious droughts and subsequent famines in the lower Senegal River region (Webb 1995). These droughts appear to have hampered the region’s handicraft textile industry, creating conditions that favored the importation of guinées from India as factor endowments limited the capacity for local producers to meet demand. Consumption of indigo-dyed cloth had been a sign of economic prosperity that differentiated its wearers from those who wore plainer white cloth. As the above image of Trarza Emirate’s princess (Boilat 1853) reveals, these consumers wrapped their bodies loosely with guinées. This style of clothing provided ventilation and a shield against relentless sunshine and desert wind, while the fabric’s indigo-blue dye stained the skin, acting as a protective coating against sun rays (Lydon 2009). The powerful consumer demand for Indian-made dyed cloth, shaped not only by local textile production traditions but also by social and ecological factors, determined a part of the global trade networks that extended from South Asia through Western Europe and reached West Africa in the first half of the 19th century, and thereby influenced not only the textile production in Pondicherry but also the development of textile industries in Western Europe. As the case of Senegal illustrates, consumers in West Africa could continue to shape the trajectory of economic development beyond Africa well after the decline of the Atlantic slave trade. In fact, in French West Africa, demand for Pondicherry-produced guinées remained significant well into the early 20th century. Boilat, P.-D. (1853). 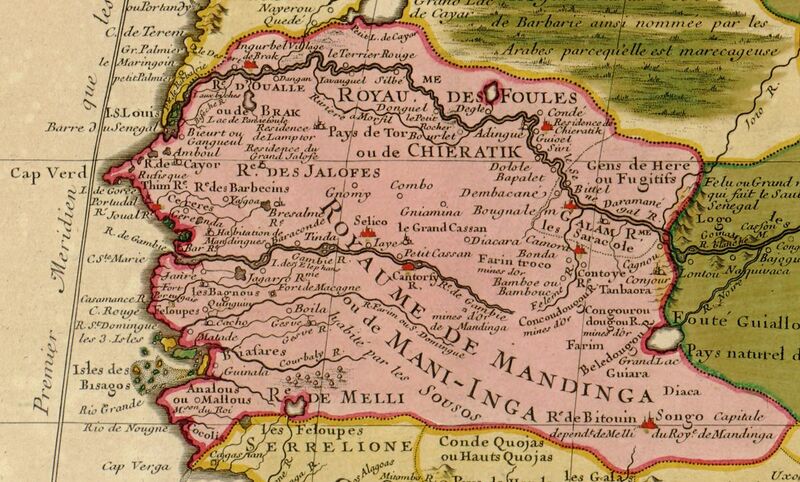 Esquisses Sénégalaises: physionomie du pays, peuplades, commerce, religions passé et avenir récits et légendes. Paris: P. Bertrand. Curtin, P. D. (1975). Economic change in precolonial Africa: Senegambia in the era of the slave trade, 2 Vols. Madison, WI: University of Wisconsin Press. Inikori, J. E. (2002). Africans and the industrial revolution in England: a study in international trade and economic development. Cambridge: Cambridge University Press. Kobayashi, K. (2017). ‘Indian textiles and gum arabic in the lower Senegal River: global significance of local trade and consumers in the early nineteenth century.’ African Economic History 45(2): 27-53. Lydon, G. (2009). On trans-Saharan trails: Islamic law, trade networks, and cross-cultural exchange in nineteenth-century western Africa. Cambridge: Cambridge University Press. Prestholdt, J. (2008). Domesticating the world: African consumerism and the genealogies of globalization. Berkeley and Los Angeles, CA: University of California Press. Roberts, R. (1996). West Africa and the Pondicherry textile industry. In: T. Roy ed. Cloth and commerce: textiles in colonial India. New Delhi: Sage Publication. Webb, J. L. A. (1995). Desert frontier: ecological and economic change along the western Sahel, 1600-1850. Madison, WI: University of Wisconsin Press.